 At 99 Cent Razor, we want to be sure that our followers are staying up-to-date on all of the latest shaving trends. That’s what we’ve put together this handy shaving glossary for you! Check out our blog for more shaving-related tips and tricks. 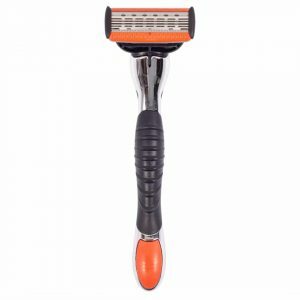 An adjustable razor is a safety razor that allows you to expose as much of the shaving blade as you wish. There is a knob on the bottom of the razor’s handle that controls the exposure of the razor blade. Aftershave is put on after shaving because it has antiseptic properties from ingredients like denatured alcohol, witch hazel, or stearate citrate that prevents infections from shaving cuts. Used by barbers and in salons, barbicide is a disinfectant for sterilizing combs, scissors, and other grooming tools. It is made by mixing the concentrate with water, and it should be changed every day to keep grooming tools clean. 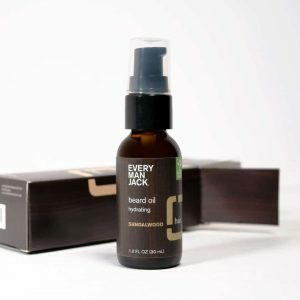 Beard oil contains essential oils and carrier oils that mimic facial hair’s natural oils to condition the beard. They can repair damage and breaks, so beards look smooth and they also keep them soft. A good beard oil will moisturize the skin to reduce irritation and itching. Just as some people have dandruff in their hair, some men develop beard dandruff aka beardruff. It can cause itching, irritation, and it’s often visible on the beard. While the cause is unknown, it is easy to treat and cure. Check out our tips to curing an itchy beard here. An acne blemish can form when facial hair isn’t kept clean. Beards can collect dirt, dust, and bacteria that causes blemishes. Good beard grooming habits can help eliminate most blemishes growing beneath facial hair. You can find tips on curing acne after shaving here. Bristles are the fibers or hair strands in brushes for beards. They can be made from synthetic or natural animal hair. For example, boar’s hair brushes are very popular among beard enthusiasts. There are many different types of brushes for facial hair. There are small brushes for mustaches, and there are several options for beard brushes. Shaving brushes mix shaving creams and soaps to apply them to facial hair. Also known as silo razors, a butterfly razor is a safety razor with two flaps that open with a twist of the handle. The two flaps, or doors, resemble a butterfly when the razor is open. Classic shaving involves using shaving implements and products that many people consider old-fashioned. Classic shaving includes using safety or straight razors, shaving soap or cream, and a shaving brush to apply the cream or soap to whiskers prior to shaving. Shaving cream, whether mixed or from a can, makes shaving easier and provides hydration for the skin. It also softens facial hair and prevents ingrown hairs, or razor bumps, while shaving. It protects the skin and leaves it feeling softer. A cut-throat razor is a straight razor which has a blade that folds into the handle. It was the traditional tool of barbers, but today they are banned in several states. Some barbers still use them where they are legal. A double edge razor, also known as a DE, has a top that opens with a twist of the handle. It’s where a two-edged razor blade is inserted, so when the top is shut, both edges are exposed for shaving. A dry shave is simply shaving without using any lubrication or moisture on the whiskers. Shaving emulsions are lotions or gels which contain oils to smooth the skin after shaving. They help moisturize the skin and prevent skin irritations. Some emulsions have fragrances in them to give them a nice smell. The epidermis is the outer layer of skin that helps protect the inner layer, which is the dermis. An exfoliate is a product, such as a facial scrub, that removes dead skin cells, dirt, and grime from the face. It also opens skin pores and softens and smoothes its texture. Since men’s facial skin is thick, they should exfoliate more often to improve their skin’s appearance. It is a common form of shaving lubrication and is usually found in a can. Since foams are common, they are cheap, and sometimes cheaply made, as they can dry out the skin. A follicle is an organ that produces hair, including facial hair. The hair comes from a small sac and the sebaceous oil glands open into the sac. The follicle contains cells from the epidermis, which is the outer layer of skin. Shaving gels are thicker and have moisturizing properties that most shaving creams do not. Clear gels can also sculpt facial hair to help indicate where the razor is going while shaving to prevent nicks and cuts. Gels usually form lather as they are rubbed into facial hair. Find a great shave gel here. A goatee is facial hair that is only grown on the chin. The hair can be short or long, and a true goatee does not have an accompanying mustache. Its name comes from the longer hairs seen on a goat’s chin. Some men who have trouble growing hair between their chins and sideburns wear them. The grain refers to the direction in which facial hair grows. By using the edge of a credit card, you can determine the direction of the grain by pulling hair up, which is going against the grain, and which way causes it to lay down. The way it lays down is going with the grain and is the direction shaving should be done to avoid skin irritations and razor bumps. Hair grows from the follicles on the body, whether it is on your head, face, legs, or anywhere else. Hair has many textures and is usually thicker and coarser on the face. A handlebar is a mustache that is grown out and then curled up at the ends. To achieve this look, grow out the ends of the mustache and then use a gel or mustache wax to hold the hairs in place, whether straight out or to give them a slight curl. Honing refers to sharpening a blade or razor prior to shaving. A razor strop or whetstone can be used to hone a straight razor so it is sharp and can easily cut facial hair without damaging the skin. A horseshoe mustache is a full mustache which is grown down the sides of the mouth and chin to the jawline. It produces an inverted “U” or horseshoe shape. There are some products on the market that keeps skin moist during and after shaving. To hydrate something means to help it hold or absorb water. Shaving gels, lotions, and balms can help hydrate the skin after shaving. Also known as a razor bump, an ingrown hair occurs after shaving when a hair reenters the skin and raises a small bump that looks like a pimple. To avoid them, shave with a sharp razor and exfoliate to lift hairs away from the skin. We have an entire blog post on how to prevent and treat ingrown hairs, so be sure to check it out if this is something you suffer with. Making a lather is done by adding a small amount of water to a shaving soap and using a brush to vigorously mix it. Shaving with a lather helps to weigh down whiskers to allow for a cleaner shave. There are some low lather soaps that are heavier and do not require as much aeration to produce a lather. The additional weight provides more protection and leaves skin feeling smoother. Manscaping involves removing excess hair from the body for cosmetic purposes. Hair removal can be done by shaving, waxing, or plucking out unwanted hairs on the body, such as plucking eyebrows or waxing chest hair. Check out our complete guide on manscaping. A multi-blade razor has several blades that help to lift and cut facial hair close to or below the skin. The main drawback is that cutting hair below the skin line can cause razor bumps, or ingrown hairs, to form. In November, many men allow their facial hair to grow without shaving or grooming it for the entire month. It began as a way to promote cancer awareness and those who participate donate the money they would have spent on shaving products to a cancer charity. Trying to figure out if No Shave November is for you? Check out our article here. A pass is lathering and shaving the entire beard area once, which usually involves shaving with the grain of the beard. Multiple passes can be made to remove all the stubble instead of trying to shave everything in one pass. 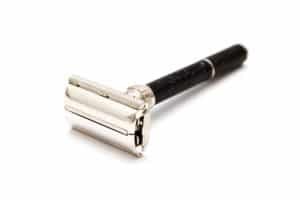 Platinum-coated safety razor blades are stainless steel blades with a platinum coating. Many consider them to be the best razor blades because they are a sharper blade that produces a smoother shave, which can help prevent nicks or cuts to the face. Pogonotomia is a word derived from the Greek words for beard, pogon, and cut, to mean the art of shaving. The art of shaving involves learning different shaving methods and discovering new shaving implements and products for a better shaving experience. Most pre-shave oils are made from essential oils and botanical ingredients to soften facial hair and prepare the skin for shaving. It protects the skin, and the oil makes the razor glide over it easier to prevent irritation and issues like razor bumps. A razor holds the blades that remove the hair from the face or body. A razor can be disposable or it can be reusable, such as safety razors. Some razors only have one blade, such as safety razors or a straight razor, while others use several blades to produce a closer shave. A razor blade is a tool that cuts facial hair. They are usually made of stainless steel and may be coated with Teflon, platinum, or left uncoated. Razors are usually disposable and come in cartridges or single or double-edge razor blades for safety razors. Straight razors have only one razor blade that can be sharpened when it is dull. Razor burn is a condition of the skin which causes it to become irritated or inflamed by shaving. It can cause the skin to feel hot like it’s burning, look red, or develop a rash or itchy razor bumps. When razor burn occurs, using a shaving product like an aftershave lotion or cream can provide immediate relief. Prepping the skin with a pre-shaving oil can help prevent razor burn, as can making only one pass while shaving. A safety razor is a shaving tool which has a protective device between the razor blade and skin. The device is a plate on which a razor blade rests and which has teeth or bars to allow the razor to cut facial hair without catching them and cutting the skin. Safety razors have one or two openings to provide exposure to the blade. To shave, or shaving, is the process of removing hair with a razor. Shaving can be done either wet or dry and there are several products available to protect the skin and make cutting hair, especially facial hair, easier to do. 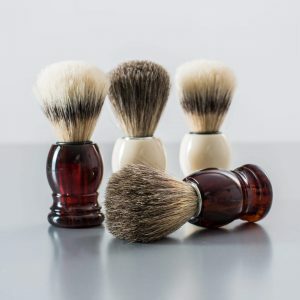 A shaving brush is a tool to mix and apply shaving cream or shaving soap to the face prior to shaving. It has a small handle with bristles on the end of it and is associated with wet shaving techniques. A shaving kit consists of the tools and products men use to remove facial hair. Some kits have a safety razor, razor blades, a shaving brush, a shaving bowl, shaving cream, and a travel bag for carrying everything. There are many different kits available so that the contents will vary. Shaving soap is a hard soap that, when when water is applied, can be mixed to form a lather. The lather coats the facial hair to soften it and it protects the hair and skin. Shaving soap also provides lubrication to help the razor glide over skin. Shea butter is a fat made from the nut of the shea tree found in Africa. This yellowish butter can help moisturize skin due to its array of vitamins and fatty acids. It can also protect the skin’s natural oils and reduce dry skin problems. Originally called burnsides, sideburns are the patches of hair in front of the ears. They can be grown to connect with a beard, or some men grow them down their jawline. While many men trim them to look neat, others allow them to grow long and bushy in a style called muttonchops. Some safety razors use blades with only one sharp edge, which is known as a single-edge blade. They can be made from carbon or stainless steel and coated to produce a sharp-edge and a smooth, close shave. There are five skin types and many people may have more than one. skin can be oily, dry, normal, combination, or sensitive. Many people have combination skin, but your skin type can change when using medications or as you get older. Your skin type can influence the type of shaving products you should buy. 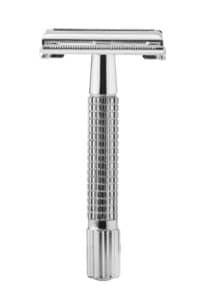 A slant bar, or slant, razor is a type of safety razor that has a head with a slant when mounted. The slant makes it easier to cut facial hair than razors with a straight head. The head of a slant razor usually allows for double-edge razors to be used. A soul patch is facial hair that is grown from just below the bottom lip to about halfway down the front of the chin. Some men fashion the bottom into a point, but others just leave it as it grows. It is a style that is often seen on musicians and performers and it was made popular during the beatnik era. The area which houses the blade on a straight razor when it isn’t being used is the spine. Depending on the style of blade, the spine can be: hollow, slight hollow, almost straight, and straight. Spines may be made from metal, wood, mother of pearl, or other materials depending on the cost of the straight razor. A straight razor is a shaving razor that only has one blade. The blade folds into a spine when it’s not in use. and it is sharpened when it goes dull. Straight razor edges can have different grinds and blade points, including: round, spike, barber’s edge, Spanish, and French. They can also come in different blade sizes. A stroke is the number of movements of a razor blade on the face while shaving. A stroke may go with or against the grain and it usually takes multiple strokes to completely get rid of facial hair. To sharpen a straight razor on a strop, you need a lubricant or strop paste. There are two types of strop paste: abrasive and non-abrasive. Most companies color code their pastes, so you know what type it is and how abrasive it is. Most strop pastes should only be used on leather strops, but white strop paste can be used on canvas or linen hanging strops. Stubble is facial hair that is just beginning to grow out. The “five o’clock shadow” is stubble and many men only grow their facial hair for two or three days to produce stubble on their faces in lieu of growing a beard. A styptic pencil is a stick that is medicated with an antihemorrhagic agent to help shaving nicks and cuts stop bleeding. Wet shaving is a method of shaving the face using a wet lubricating agent like shaving cream, shaving soap, or shaving gel. They help to soften the hair, lift it for shaving, and lubricate the skin to help the razor glide over it.